Most governments will try to cover their fiscal and trade imbalances by devaluing and making all savers poorer. “A country with monetary sovereignty can issue all the currency it needs” is also a fallacy. Given that the world of currencies is a relative one, the average citizen of the world will prefer gold, cryptocurrencies, US dollars, or Euros and Yen despite their own imbalances rather than their own currencies. Why is this? When governments and central banks worldwide try to implement the same mistaken monetary policy of the US and Europe or Japan but without their investment security, institutions and capital freedom, then they fall into their own trap. They weaken their own citizens’ trust in the purchasing power of the currency. The MMT answer would be that all that is needed then is stable and trustworthy institutions. Well, it does not work then either. The first crack in that trust is precisely the currency manipulation needed to finance bloated government spending. The average citizen may not understand monetary debasement, but certainly understands that their currency is not a valid reserve of value or payment system. The value of the currency is not dictated by the government, but by the latest purchase agreements made with such means of payment. Governments always see economic cycles as a problem of lack of demand that they need to “stimulate.” They see debt and asset bubbles as small “collateral damages” worth assuming in the quest for inflation. 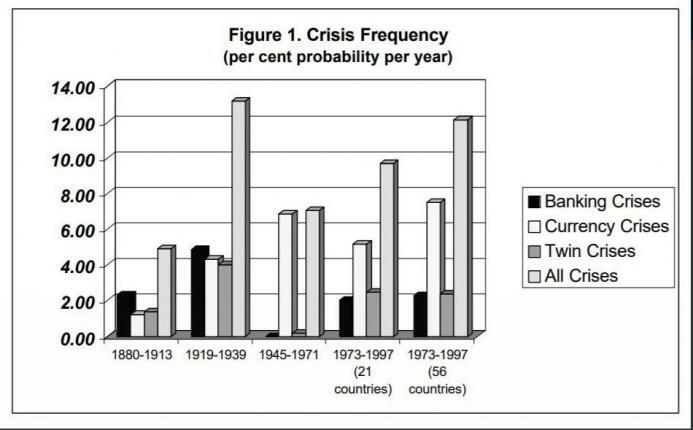 And crises become more frequent while debt soars and recoveries are weaker. The imbalances of the US, Eurozone or Japan are also evident in the weak productivity growth, high debt, and diminishing effectiveness of policies (read “Monetary Stimulus Does Not Work, The Evidence Is In“). 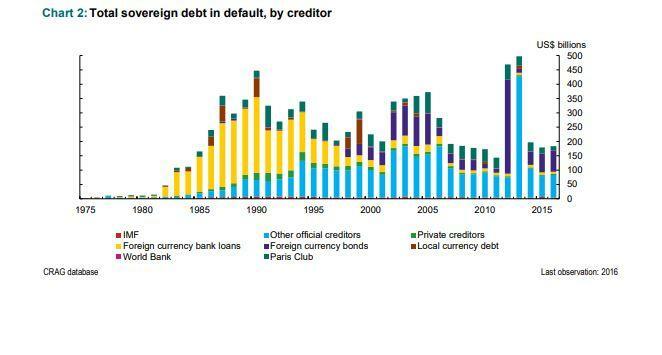 Countries don’t borrow in foreign currency because they are dumb or ignore MMT science fiction, but because savers don’t want government currency debasement risk, no matter what yield. The first ones that avoid domestic currency debt tend to be domestic savers and investors, precisely because they understand the history of purchasing power destruction of their governments’ own monetary policies. Some 48% of the world’s $30T in cross-border loans are priced in US dollars, up from 40% a decade ago, according to the Bank of International Settlements. Again, not because countries are stupid and don’t want to issue in local currency. Because there is little real demand. Many MMT proponents solve this equation of inflation caused by monetary excess by denying that inflation is always a monetary phenomenon, and that inflation can be solved by taxation. Is it not fantastic? The government benefits the first from new money creation, massively increases its imbalances and blames inflation on the last recipients of the new money created: savers and the private sector. Then it “solves” the inflation created by government by taxing citizens again. Inflation is taxation without legislation, as Milton Friedman said. First, the government policy makes a transfer of wealth from savers to the political sector, and then it increases taxes to “solve” inflation it created. It’s double taxation. How did that work in Argentina? That is exactly what governments implemented, only to destroy the currency, create more inflation and send the economy to stagflation (See more here). These two factors, inflation and high taxation, negatively impact competitiveness and ease to attract capital, invest and create jobs. This relegates a nation of enormous potential, such as Argentina, to the final positions of the World Economic Forum index, when it should be at the top. The idea that a country’s debt is not a liability but simply an asset that will be absorbed by savers no matter what, is incorrect as it does not consider three factors. No debt is an asset because government says so, but because there is real demand for it. The government does not decide the demand for that bond or credit instrument, the savers do. And savings are not unlimited, hence deficit spending is not endless either. No debt instrument is an attractive asset if it is imposed onto savers through repression. Even if the government imposes the confiscation of savings to cover its imbalances, the capital flight intensifies. it is like making a human body stop breathing in order to conserve oxygen. 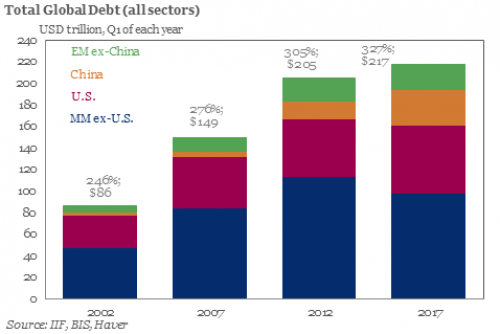 That debt is simply impossible to assume when the investor and saver knows that government will destroy purchasing power at any cost to benefit from “inflating its way out of debt.” The reaction is immediate. The Socialist idea that governments artificially creating money will not cause inflation, because the supply of money will rise in tandem with supply and demand of goods and services, is simply science fiction. The government does not have a better or more accurate understanding of the needs and demand for goods and services or the productive capacity of the economy. In fact it has all the incentives to overspend and transfer its inefficiencies to everyone else. As such, like any perverse incentive under the so-called “stimulate internal demand” fallacy, the government simply creates larger monetary imbalances to disguise the fiscal deficit created by spending and lending without real economic return. Creating massive inflation, economic stagnation as productivity collapses and impoverishing everyone. The reality is that currency strength and real long-term demand for bonds are the ultimate signs of the health of a monetary system. When everyone tries to play the Fed without the US economic freedom and institutions, they only play the fool. Monetary illusion may delay the inevitable, a crisis, but it happens faster and harder if imbalances are ignored. However, when it fails, the MMT crowd will tell you that it was not done properly. And that it is YOU, not they, who do not understand what money is.